... and Narrowband also ;-). Systems for planning, optimizing and deploying for providing access over the air are our challenge. Brown-iposs is happy to present some of its activities and upcoming events and is looking forward to get in touch with you! An extensive measuring campaign about parameters for radio propagation modeling in LTE- Advanced and 5G has been done. By our latest test campaign on LTE/WiFi router for the Austrian market we found a convincing winner focusing on RF quality. BIC-IRAP initiated by brown-iposs started two more interesting high-level R&D-projects: iRaptor and IRAP-QMV. 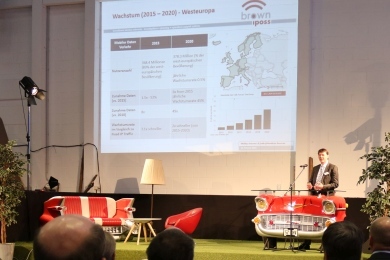 On the occasion of our 10th anniversary we run the congress "Networks of the Future" in Bonn and discussed latest trends. 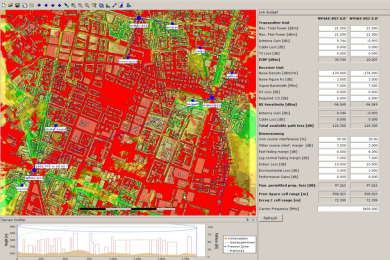 Our RF planning tool specially developed for planning last-mile and city networks is available for everyone free-of-charge. 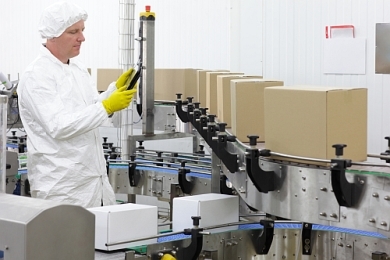 A particular challenge is bringing wireless services to production places. See where we are working on our vision for smooth networking.